What defines a great promo email? And what does a promo email need to include to be successful? The answer to both questions depends a lot the needs of the writer and the reader. We’ve talked about how to send a killer email to anyone in the industry, emphasized how important it is to maintain a healthy mailing list, and gone over how to sell a music journalist on your music by writing a compelling press release. But let’s revisit some of the most important aspects of writing promo emails to make sure you’re selling your music the best that you can. There are plenty of nuances to consider when soliciting a review of your band’s new album or pitching an in-depth interview prior to your next tour. Before diving into the situation-specific details, keep the following evergreen tips in mind for every email you send. A pair of identical envelopes shows up in your mailbox. One says, “Resident” and the other says, “Mr./Ms. Your Name Here.” Which of these two pieces of mail are you more likely to open first? Probably the second one, right? The same principle holds true for email inquiries. The more personalized an email is — addressing a specific writer or editor of a publication as opposed to a generic greeting — the more likely it is to get the recipient’s attention. He or she will appreciate that you’re familiar with the publication or, at the very least, that you took the time to find the appropriate email in the contact directory. Dustin Nelson, former longstanding Marketing Director at New York City’s (le) Poisson Rouge, echoes this sentiment and shares a few more key tips on email communication in Soundfly’s free course, Touring on a Shoestring. Yes, the commercial music business tends to be a bit casual, but that doesn’t mean opening an email with, “Yo,” “Sup,” or “How ya doin’?” is necessarily the best course of action, especially if you’re reaching out to a higher profile platform or outlet. Both “Hello” or “Dear [Name]” are perfectly safe, polite bets. Never forget that, ultimately, you want someone to do something for you. Make sure you treat them with respect right off the bat. Just like applying for a job, nothing gets your email deleted more quickly than poor spelling and lazy grammar. Misspelling the name of the website or publication you’re trying to reach or botching the name of the person you’re emailing are cardinal sins. Human error happens, but it’s up to you to make sure it happens as little as possible when putting your music out there. Reading your email back to yourself out loud often helps those sneaky typos stand out. + Read more on Flypaper: If you think radio is no longer relevant to your promo strategy, think again. Radio is more powerful than ever as a marketing platform! If you know a specific person to ask for a review, make sure he or she actually covers the type of music you play. Smaller outlets, especially ones that cover a broad range of subjects, may only have a single “Music Editor,” in which case you’re pretty safe. But many music-centric platforms have numerous editors and assistant editors on staff. Don’t just write to the first name on the contact list. Look for contributors who cover certain genres or write specific types of articles (i.e., interviews, reviews, live coverage, etc. ), and reach out to the individual who best fits the objective at hand. It should go without saying, but do not spam the entire staff with your email. This will likely get your band blacklisted by that outlet. You write music, play shows, and record albums all in the hope that people you don’t know will become fans of what you’ve created and support what you do. Reviewers might be able to help you achieve that goal, but don’t forget that they also take their work very seriously. True music critics likely have their own following, and they’ll stick to their expressive style and voice without compromise. That’s probably how they came to your attention in the first place, right? It doesn’t hurt to amp up the personalization of your email by referencing — albeit succinctly — a piece or two of theirs, noting details that stood out to you. This shows the writer that you genuinely support and appreciate their work, as opposed to just trying to get something from them. Bonus points if you can smoothly compare your music to an existing review, which might also connect the dots of why your music is a good fit for that particular writer or publication. + Learn more on Soundfly: Get better results from your home-recorded tracks. Take our new, free course, Demo Recording 101, for some of the best tricks for setting up your home studio! Timing is everything in the music industry. The further you can plan in advance, the better. Always. If you know what month you’ll be releasing your single or album, figure out how far ahead you can have the tracks mastered and ready for review. Just as you’re not always able to field questions about when your next record is coming out, journalists aren’t always able to commit to a date for your review to run. Your best strategy is to give writers your single or record as soon as you can. The larger the gap of time between release day and when you request a review, the more likely that a writer will have the chance to mark it on his or her calendar. Also, never fear the follow up! Make notes to yourself in your calendar or planner to follow up two to three weeks after your initial contact. It’s hard at first, and you might feel like you’re bothering people, but believe me, there are a hundred reasons why a writer may have accidentally missed your email the first time or forgotten to respond. It’s in your best interest to nudge them. If you want someone to hear the new music you just recorded, give them one-click access to a stream from platforms like Bandcamp, SoundCloud, or Spotify, as well as the easy ability to download an mp3 . Do not send attachments unless your contact specifically requests them. A straightforward and hyperlinked list of key links to places like your official website and social media profiles helps minimize the digging a writer has to do. If someone is interested in reviewing, make any auxiliary media (e.g., band photos, accompanying music videos, etc.) easy to download and embed as necessary. Furthermore, if a reviewer is looking for background on you, make sure basic information is well labeled and easily found on the aforementioned sites. Presumably, you want this information shared with anyone who reads the review, so the person writing the review will need it, too. Most of the information here outlines the behind-the-scenes assembly work that goes into reaching out for coverage. All too often, bands are in a hurry to write to as many journalists as possible, and details get scrambled and lost in the fold. Getting to know a publication or a journalist might not be a quick-and-easy solution, but think of it like practicing: it’s the less flashy, but necessary, side of being a musician. The more prep work you do on your own, the better off you’ll be down the line as your career grows! 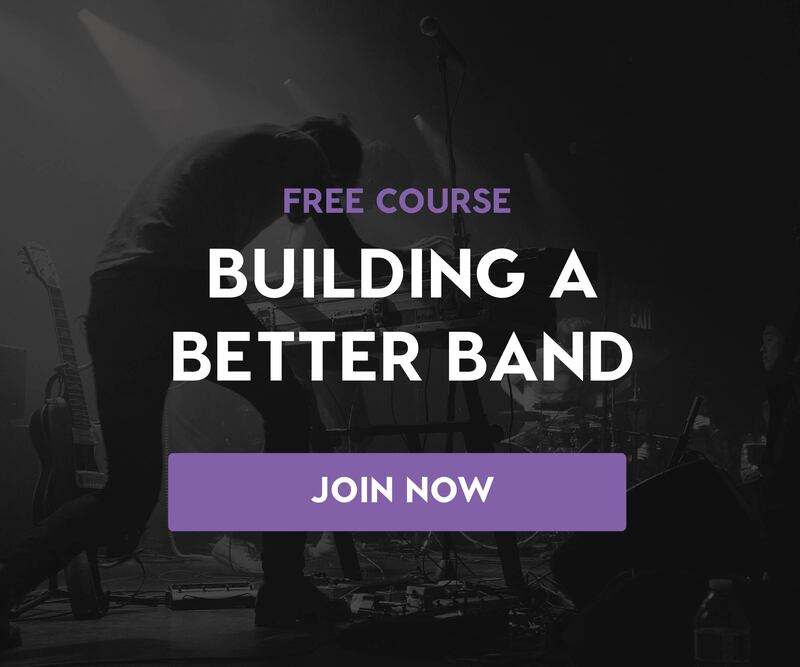 Manage your band like a pro!